There is one small trouble that comes with the Halloween season, however, and that is the clear reminder that the summer is over. In fact, the whole autumn season is nearly over! You might be looking at snowfall at this exact moment! Yeesh! That might bring some glee to a few, but several others find themselves dreading the loss of warmth just as much as good ole’ Demeter hates sending her daughter down to the Underworld. Well, seasonal affective disorder, prepare to meet your doom! 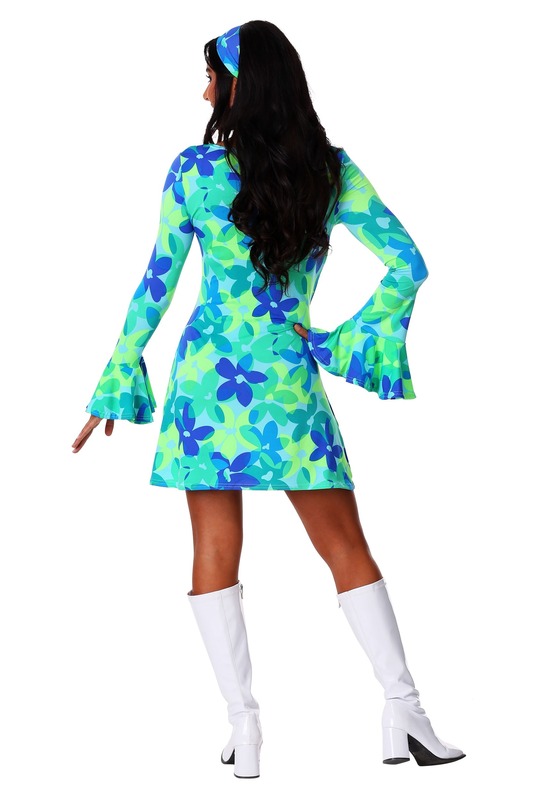 ‘Cause we’re keeping our flower power around all year! 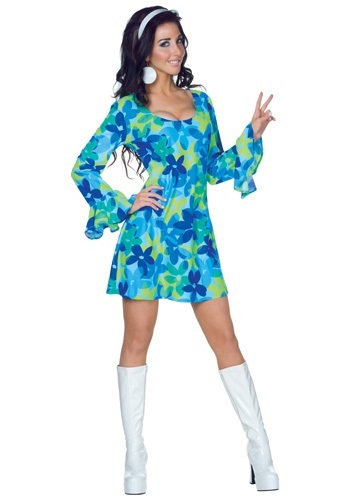 Join in the festive resistance and celebrate peace, love, and flower power with this ‘70s Wild Flower Dress costume. Those hippies knew what life was all about and we’re not talking just about the love and peace. It’s about color and vibrant living. You’ll have a tough not time smiling, as will your onlookers, when you appear in this form fitting dress with flaring skirt. 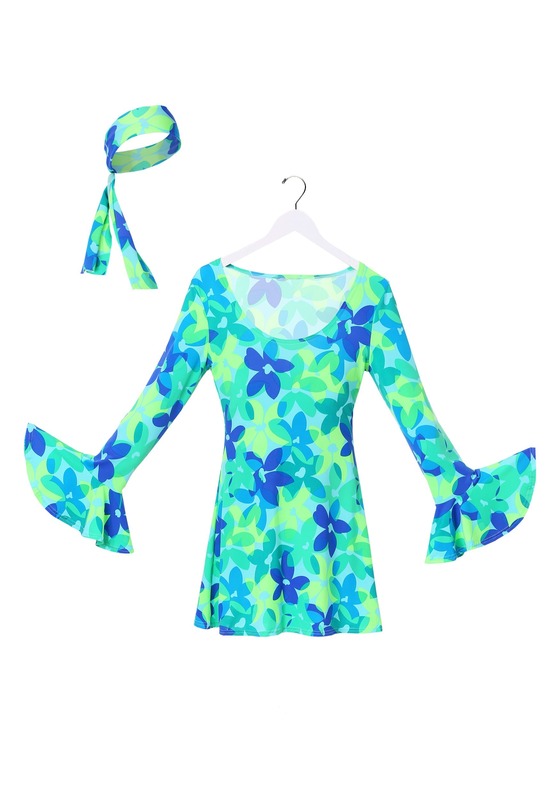 The beautifully cool blues and greens of the floral print and its long flounced sleeves will have you thinking, ‘Spring!’ well into the winter, and the matching scarf is all about looking cool instead of keeping warm!